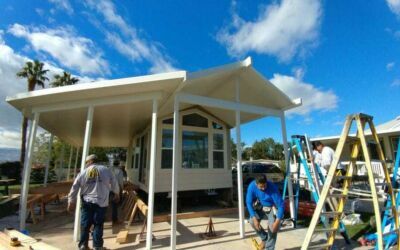 From start to finish, ready to build Island BBQ. 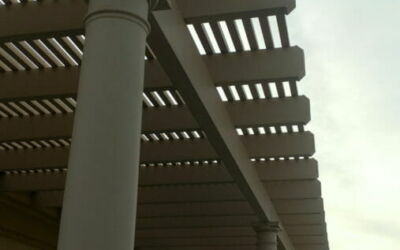 Lattice Cover, block the sun and enjoy fresh air. 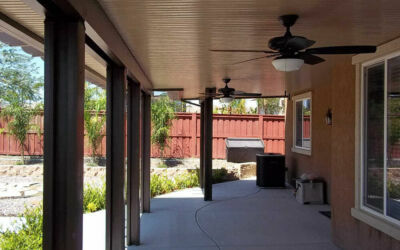 Ever changing patterns of light and shades creates a unique inviting look. 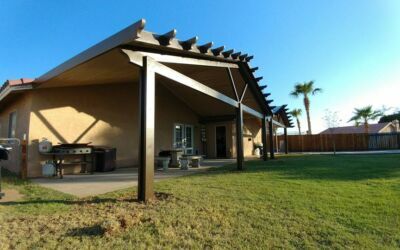 Take a look to some of our fabulous works for Desert Cities. 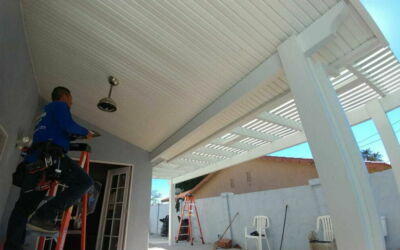 Patio Covers add special value to your home and to your special family moments. 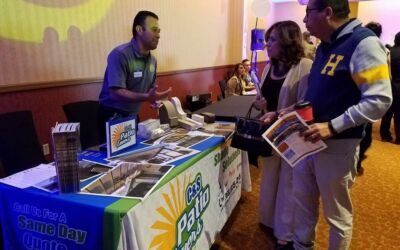 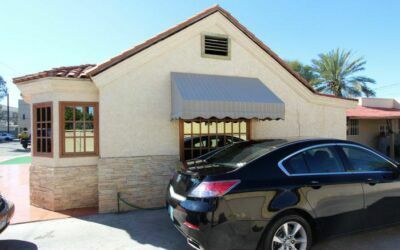 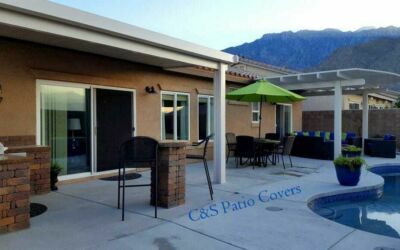 We are C & S Patio Covers, the Coachella Valley professionals. 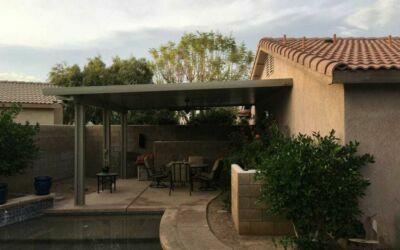 Aluminum Patio Cover for relaxing area Solid Cover for your outdoor dining area, great for entertaining guests and relaxation. 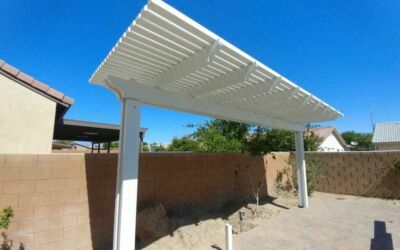 Lattice Cover, perfect shade to enjoy dinner with family and friends. 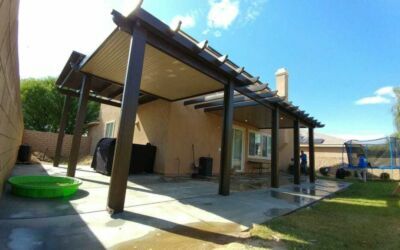 High winds season, is your Alumawood Cover damage? 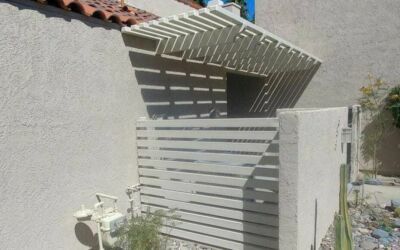 Don't worry we got you cover. 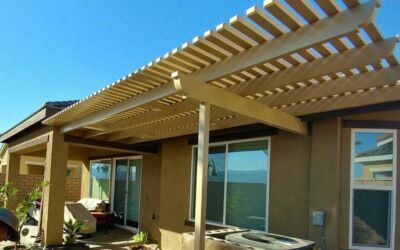 Elegance with durability, Alumawood Lattice and Solid Patio Cover combined with Siennawood & Beechwood colors, your dream of shades around your home with custom lighting and fans. 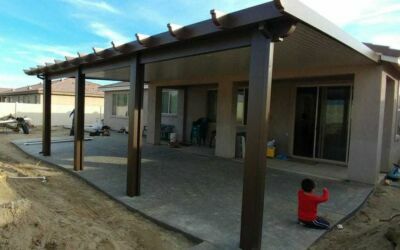 Aluminum Pergola: escape from the sun and relax after enjoying the swimming pool. 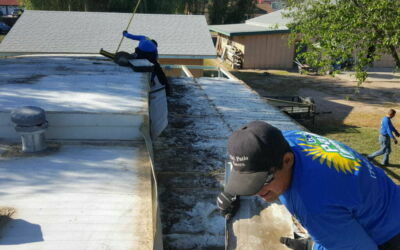 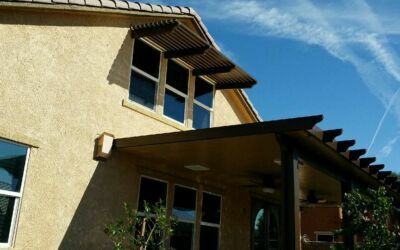 Prevent acid rain, UV direct rays, dirt, pollen, pests, and other debris from damaging your window. 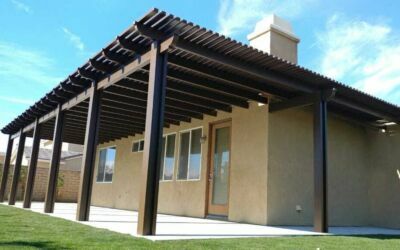 Look at the shade, the structure frame provides plenty of shade, open those windows and enjoy amazing view. 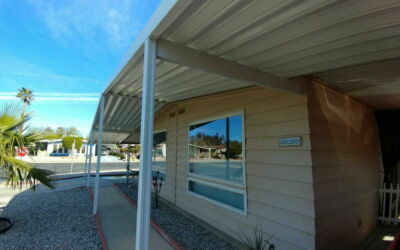 Aluminum Window Cover reduces the amount of heat coming through your windows. 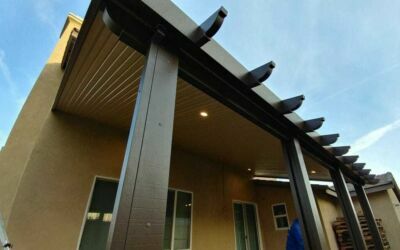 Open your interior shades, allow natural light enter your home and create a peaceful fresh environment while still blocking the sun’s heat. 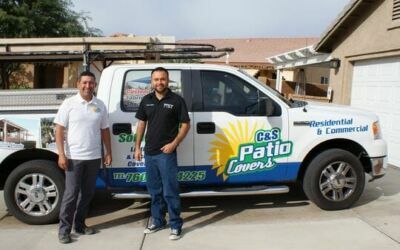 Transform your entrance in to a beautiful Private Entrance Patio, a unique space to create memories and family bonding. 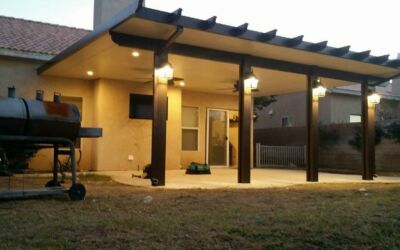 Lattice Beechwood color combined with Corbel end cuts and four LED lights. 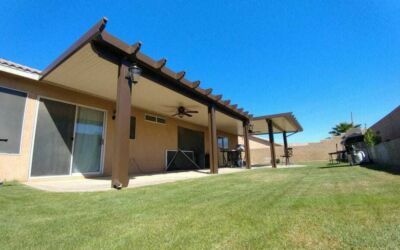 A perfect combination to enjoy summer with family. 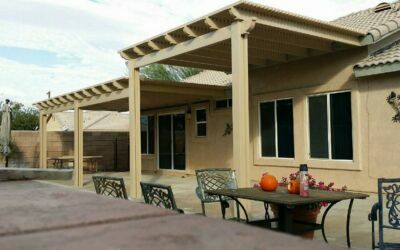 Our popular Lattice Beechwood color with Miter end cuts Patio Cover. 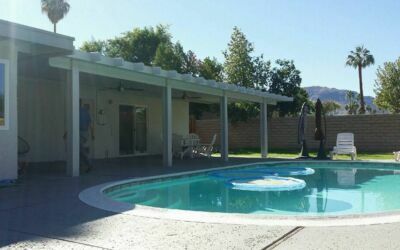 Take advantage of the nice weather, as well as have a peaceful and inviting place to sit outside and enjoy a nice cold drink just after getting out of your swimming pool. 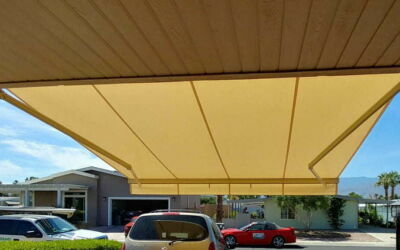 A custom fresh Country look front Patio Cover, design to prevent strong direct sunlight during summer. 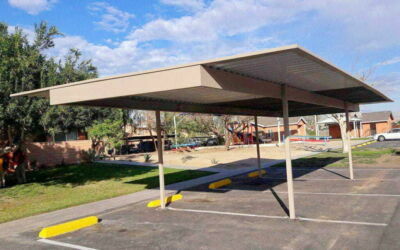 Playground Shade installed in Coachella, CA Church. 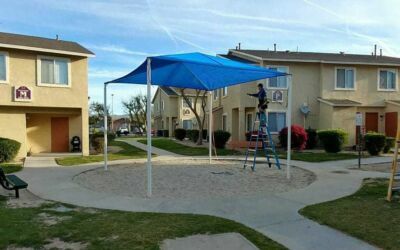 Protecting children from sun damage as they play. 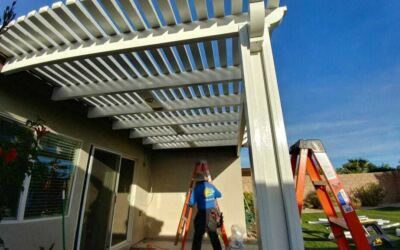 Keep your home feel fresh during the summer by transforming your beautiful backyard with a Lattice Patio Cover, direct UV rays protection. 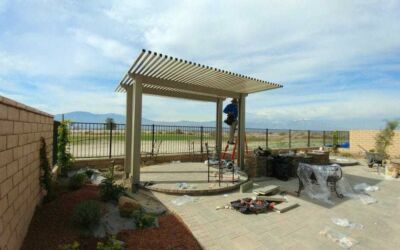 Custom Patio Cover installed per customer request for a special family event. 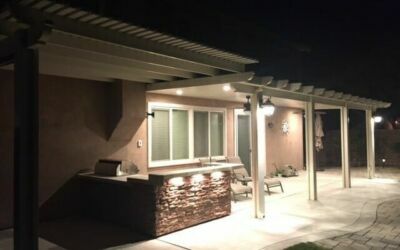 Just brings family together, add LED lights to brighten special moments..
Playground Shades professionally installed in Pie De La Cuesta Apartments, Mecca CA. 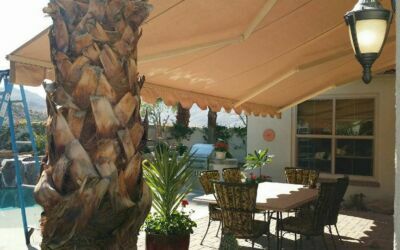 Spring is here, give your guests a fresh welcoming experience environment at your location. 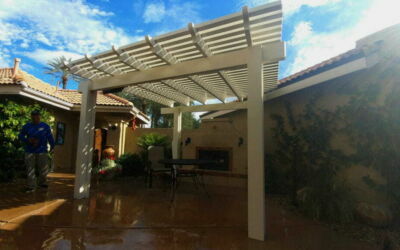 Enjoy the beauty of your own backyard converting your favorite outdoor space to a Solid Patio Cover. 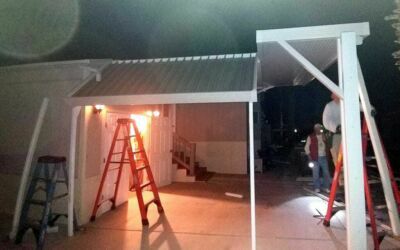 Per consumer request, added a outdoor fan, four LED lights, and two Post Lights. 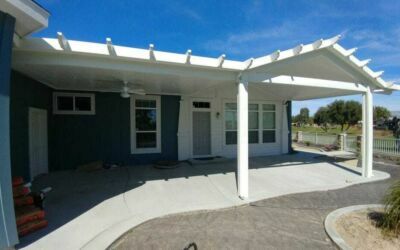 Solid Custom Patio Cover in a Manufactured home. 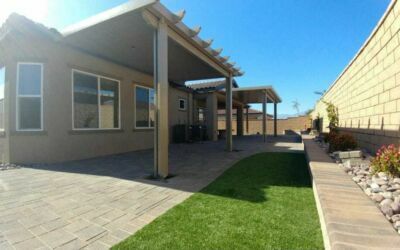 A new outdoor living space where you will want to spend your time relaxing enjoying the shade. 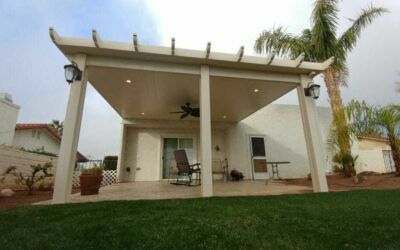 Add value to your home and create a Lattice Patio Cover near a fireplace to share warm memories with friends and family for a lifetime! 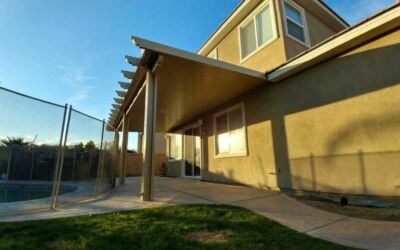 Lattice Patio Cover, provide an extra place to relax, entertain, cook or simply breath the air. 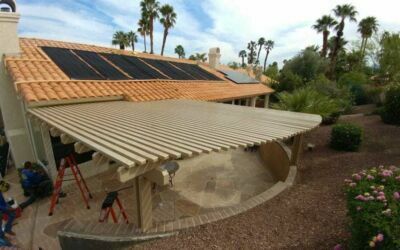 Solid Patio Cover will keep the sun from penetrating through, creating a nice cool place to enjoy and relax with the entire family. 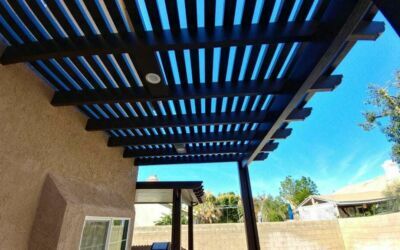 Beautiful Lattice Beechwood color Patio Cover, a combination with shade and sun light, perfect way to cool off with your family and friends. 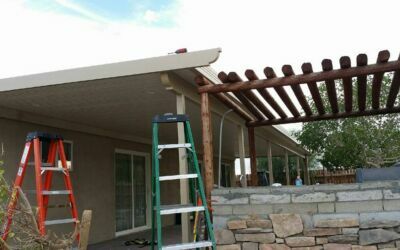 Patio Cover combined with Siennawood & Beechwood colors with end Corbel Cuts. 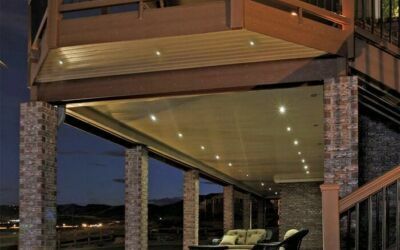 Per consumer request, 4 LED lights, designed to add lighting and decoration to any patio. 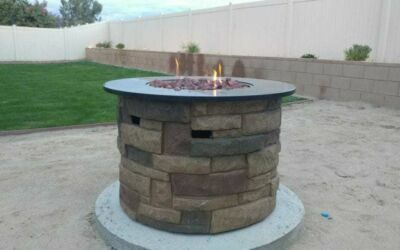 A beautiful place to sit and relax with LED lights & outdoors fans. 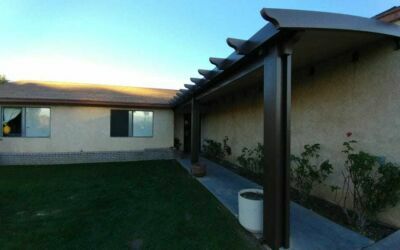 Solid Patio Cover, combined with Beechwood & Rosewood colors and a choice of end cut Corbel. 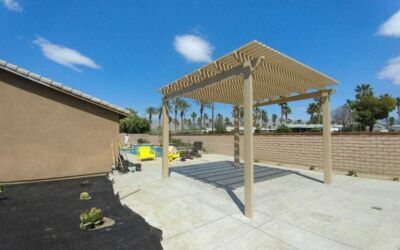 From start to end, a Driftwood Patio Cover in Salton Sea near Borrego Springs, four outdoor fans to enjoy family and friends gatherings in a sunny warm day. 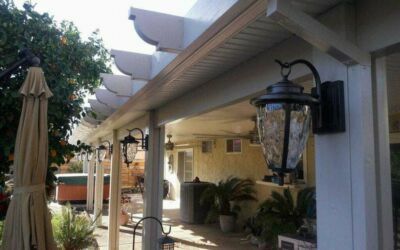 Rosewood Corbel Cut with white Solid Patio Cover combined with LED lights, outdoor fans and lamps. 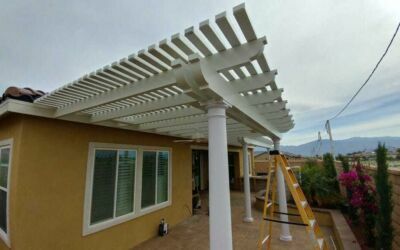 A customized Sandalwood Lattice Patio Cover combined with a decorative elegance look of 12'' Tapered Round Column. 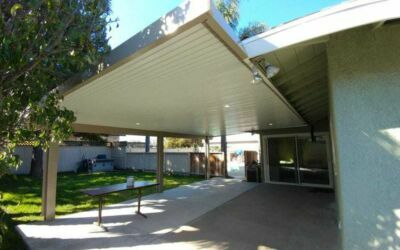 A fabulous Welcome Entrance Solid Patio Cover, combined with Beechwood & Siennawood colors with end Scallop Cut and LED lights. 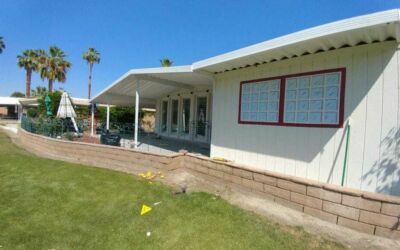 8" Flat Panels Attached to Wall and a 2x3 White Lattice with Scallop Cut which makes Patio Cover unique. 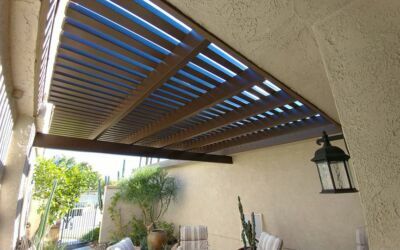 Aluminum Backyard Patio Cover, combined with Siennawood Trim and Sandalwood Panels. 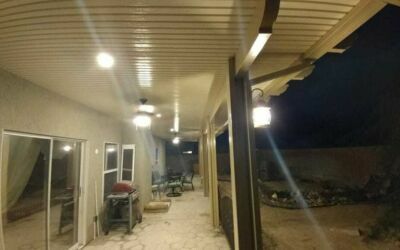 Beautiful look with four 4 inch light Recessed LED Lights for future family gatherings. 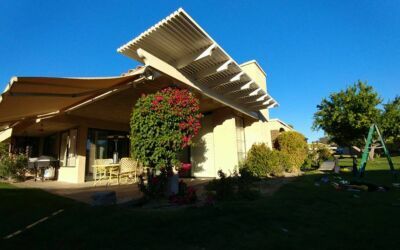 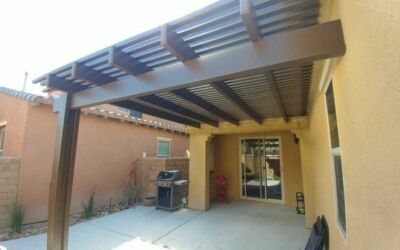 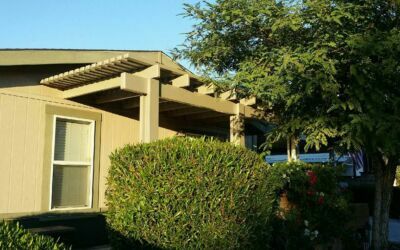 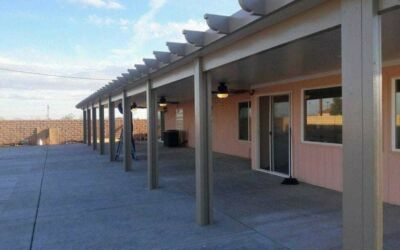 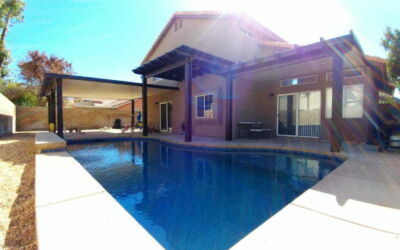 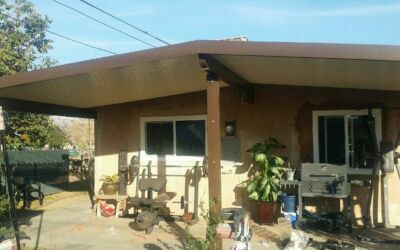 Aluminum Open Lattice Patio Cover in Indio Talavera Community. 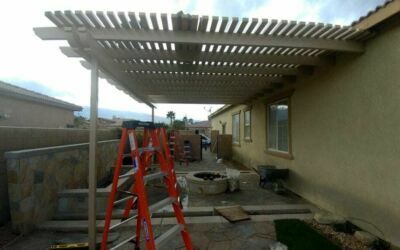 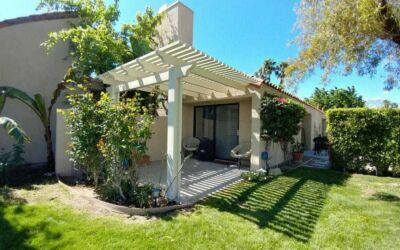 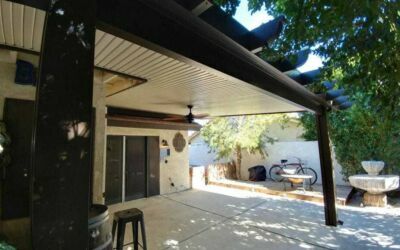 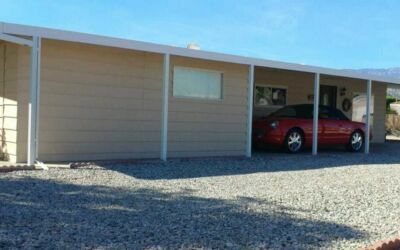 Custom Patio Cover as per Customer request in Desert Hot Springs. 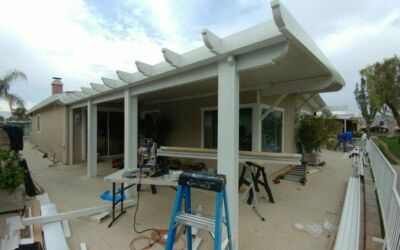 Sides expansion on a existing Patio Cover. 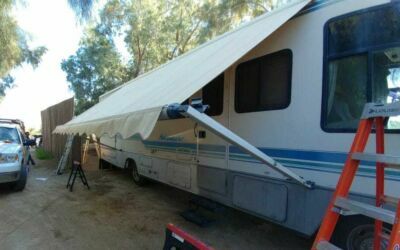 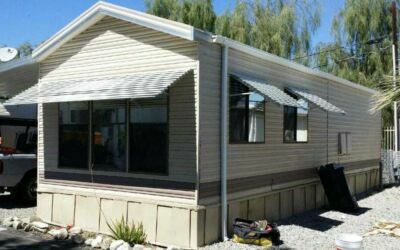 Mobile Home Outdoor Patio Covers. 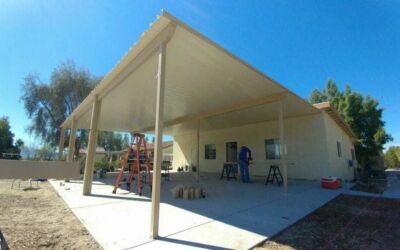 This is our latest project. 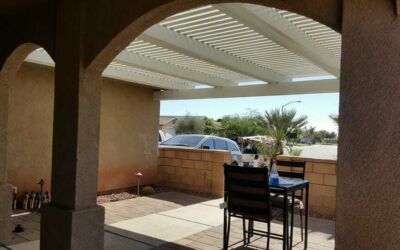 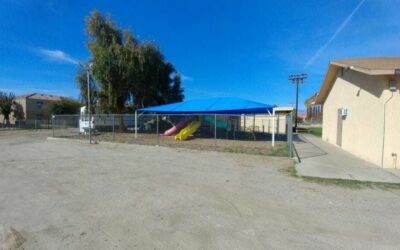 A new Patio Cover in the city of Indio. 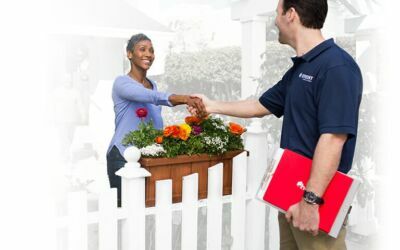 Only HERO stays with you every step of the way.